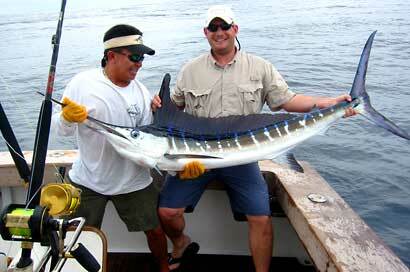 Every travel package we put together is a custom Costa Rica Fishing adventure. You tell us what you want, your time frame and budget and we’ll match you up with the best vacation rentals and charter boats available. Costa Rica has a high season (mid November – May), a green season (May – mid November) and a peak season (Christmas, New Years and Easter weeks). High Season prices do not include Christmas or Easter week.